You’ve heard us say it over and over again, but U.S. foreign assistance programs save millions of lives each year while being only less than 1% of the U.S. budget. These programs immunize children, provide communities with clean water, improve literacy rates in schools thus improving the economy, and much more. Pray with us for funding for, the implementation of, and the people impacted by these programs – and the lack of these programs. Pray for sufficient funds for life-saving foreign assistance programs. Despite accounting for less than 1% of the federal budget, U.S. foreign assistance programs are constantly threatened by debilitating cuts. Pray that our leaders would continue to come together to prioritize this small percent of our budget and the work that these programs do. Ask God to make room in the budget for these programs. Lord, thank you for a government that is able to and willing to help our brothers and sisters in Christ around the world who are in need of life-saving assistance. Please protect the small amount of money that goes to support these programs and ensure that it is used in the most effective and efficient way possible. Pray for bipartisanship in Congress to keep these issues at the forefront of U.S. policy. In the U.S., support for foreign assistance has always been bipartisan. Between arguments that it provides security to our country and that helping those in need is the right thing to do, there is no question that these programs are important across party lines. Pray that members of Congress continue to work together to improve and increase U.S. foreign assistance programs. We are thankful that our country’s leaders have prioritized foreign assistance programs in a bipartisan way, God. Today, we ask that you would soften more leaders’ hearts toward the needs of the vulnerable. Continue to bring forth supportive messages for these programs that spark more bipartisan conversations around this funding. And, Father, we ask that you continually bless these conversations to get us closer to our goal of ending extreme poverty. Pray for coordination across governments, organizations, and communities. Foreign assistance programs involve many parties. For it to be effective, governments, organizations, and the communities that these programs are being implemented in need to work collaboratively to identify the root causes of problems and to find sustainable solutions. In addition, many of the issues being tackled are impacted by multiple factors; for instance, ending preventable maternal and child deaths is not as simple as building hospitals, but a solution may include gender equality, nutrition, and access to vaccines. As you can probably imagine, coordinating efforts to solve these complex issues isn’t easy! Pray that God would provide clear communication and instill collaboration between all parties working to fund and implement these programs. For the governments, organizations, and communities involved in implementing U.S. foreign assistance, we pray that You guide their coordination. Help them to find the best ways to communicate with one another so that these programs can properly address the complex issues they are intended to solve. Thank you for putting people on this earth who are willing to take on this difficult task; please help them to persevere, God. Pray that the funds go where they are needed most. 767 million people live in extreme poverty (less than $1.90 per day). 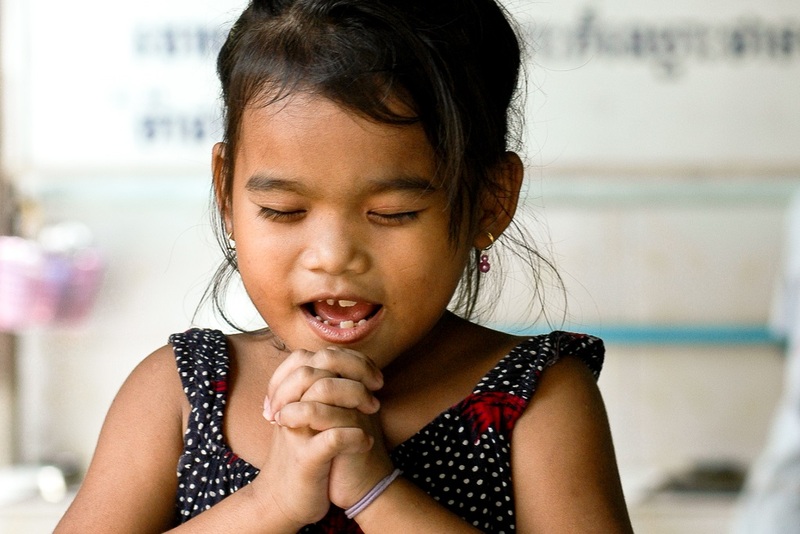 Pray that U.S. foreign assistance will go to those who need it the most. Ask God to protect the funds, the programs, and those implementing the programs. U.S. foreign assistance does a lot of good for the most vulnerable, but we need God’s protection and guidance to make these programs successful as successful as possible. Father, there are a lot of people in need around the world and we know that you care for each and every one of them. We ask that you be with them and, where able, provide those in need with the opportunity to benefit from U.S. foreign assistance programs. Please protect these programs so that they are able to do what they are meant to: help those in dire need. Move any roadblocks that keep foreign assistance from benefiting those in the hardest to reach places. Amen.